Barack Obama says he wants to spread the wealth, yet his own aunt lives in poverty in a South Boston housing project. The story about the aunt in Southie was broken by the Times of London, not by the Boston Globe, literally down the street. Boston's paper of record is in the bag for Obama – so much so that at one point they actually were selling Obama bags. Who ordered the anti-fraud protections turned off? What did the wanna-be president know and when did he know it? As Victor says below, this is part of a long pattern of behavior by Obama in which the noble ends of the Messiah's triumph justify any means. The messianic style—the cosmic tug to "change history", or stop the seas from rising or the planet from heating, juxtaposed with the creepy faux-Greek columns, Michelle's "deign to enter" politics snippet, the fainting at rallies, the Victory Column mass address, the vero possumus presidential seal, and the 'we are the change we've been waiting for' mantra—reflects the omnipresent narcissism: the exalted ends of electing a prophet always justify the often crude and all too mortal means. If this is considered 'right', I'd rather be wrong with McCain. It seems, over and over again, the media has simply deferred to the Obama version of reality. This is especially true on his own record and personal history. Obama says he’s a reformer, so no use asking him why he didn’t challenge the Daley machine at any point. He says he couldn’t possibly support infanticide, so there’s no point of taking him through the specifics of his votes on the Born Alive Infants legislation. He claims his relationship with Bill Ayers was slight, so there’s no reason to ask him about the conversations they might have had on “redistributive change” or about Ayers’ terrorist activities or about the groups which they funded together through the Woods Fund. Obama’s such a post-partisan guy there really isn’t any point grilling him as to how he could be unaware of Reverend Wright’s rhetoric. You can call it bias or passivity or whatever you like. But it is hard to escape the conclusion that the press is not, in any meaningful sense, intellectually or politically independent from the Obama camp. On the contrary, the MSM has adopted entirely the Obama storyline. They simple relate it; they don’t challenge or investigate it. 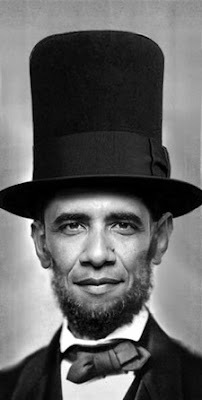 The Los Angeles Times and the suppressed Obama/Jew-bash videotape.